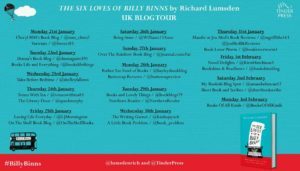 I’m so so pleased to be posting my review of The Six Loves of Billy Binns by Richard Lumsden today, as part of the blog tour. My thanks to Anne Cater from Random Things Tours for the place on the tour and Tinder Press for the review copy. 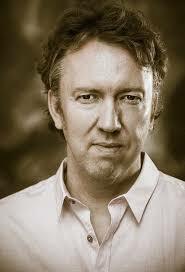 Richard Lumsden is a great actor (I loved Is It Legal back in the 90s!) and now he’s a great author. Apparently, it took rather a long time to bring Billy Binns to the page and so I hope it doesn’t take quite as long for him to write another book as I’m eager to read more of his work. 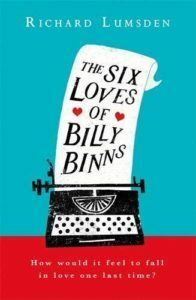 THE SIX LOVES OF BILLY BINNS is a deeply moving, bittersweet century-spanning debut set in London against the backdrop of the changing 20th century. It is reading group fiction perfect for those who loved the quirky pathos of Gail Honeyman’s ELEANOR OLIPHANT IS COMPLETELY FINE and the warmth and humour of Rachel Joyce’s THE UNLIKELY PILGRIMAGE OF HAROLD FRY. At well over a hundred years old, Billy Binns believes he’s the oldest man in Europe and knows his days are numbered. But Billy has a final wish: he wants to remember what love feels like one last time. As he looks back at the relationships that have coloured his life – and the events that shaped the century – he recalls a lifetime of hope and heartbreak. This is the story of an ordinary man’s life, an enchanting novel which takes you on an epic yet intimate journey that will make you laugh, cry, and reflect on the universal turmoil of love. An ordinary man living an ordinary life. It feels right and good to be ordinary. Oh Billy Binns, you absolute legend, you. There’s nothing so interesting for me than to read of an ordinary life that has been lived and yours has certainly been well and truly lived. How can I do justice to your wonderful story? Well, Billy Binns, I could say that I have just read the story of your life, lived over the course of more than 100 years and it was 466 pages of pure joy. You moved me to tears, you made me smile, you made me gasp, you shocked me. I felt every emotion whilst reading your words and not one of those words was wasted. You tapped away at the typewriter, Billy, capturing your life, perfectly staging it for the slow reveal leading to those ‘ohhhh’ moments of realisation. Sometimes I had to look away for a moment, blink away some tears, before I could carry on reading. You were born at the turn of the 20th century. Your experiences in WW1 were so moving, so raw. You lived through the depression, another war, the Swinging Sixties. You loved five times during your life, hoping for that one last elusive love. And what loves they were: Mary, Evie, Archie, Vera, Mrs Jackson. Your love for each of them was beautiful, intense and perfect, even if things didn’t always turn out for the best. I feel like I know you, Billy. At one point, as you clambered into the back seat of a car, I could see you in my mind’s eye, how you looked, what you were wearing. You’re a flawed man, but a wonderful man and I was utterly mesmerised by your life story. I loved you even when you made mistakes. Richard Lumsden, the curator of your story, has created something that delighted me, an uplifting, heart-warming social history full of love, loss, youth, old age, the passing of time, a story of making mistakes and living with them. Not only a definite for my top reads of the year, I think this has to be one of my top reads of all time. Billy, you’re a triumph. That it such a brilliant review Nicola! I have started this and am enjoying it but had to put aside for a blogtour read. Can’t wait to get back to it. Thank you so much, Joanne. Thought I’d try something a bit different. I hope you enjoy the rest of Billy’s story as much as I did. Thank you, Kate. Hope you enjoy Billy’s story. Absolutely my pleasure, Anne. So pleased to have read this wonderful book.